Not all young children like having a mask on their face. 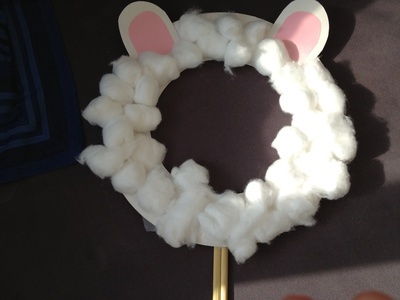 This woolly sheep mask is fun to make and easy to play with. It would be great for an Easter costume or Christmas nativity play. 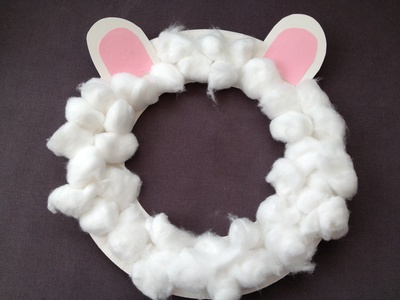 You could also try making other animals following the same idea but different materials. 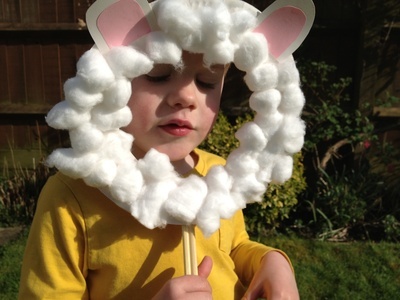 My son is keen to make a lion mask next with yellow and orange wool instead if the cotton wool we used for the sheep. Cut a hole from the centre of a paper plate. 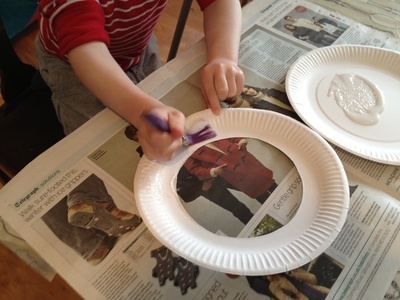 Spread glue around the remaining plate. Stick on the fluffy soft white cotton balls. 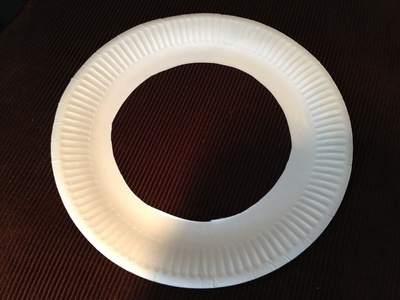 Use the circle you cut from the paper plate and create two little ears. 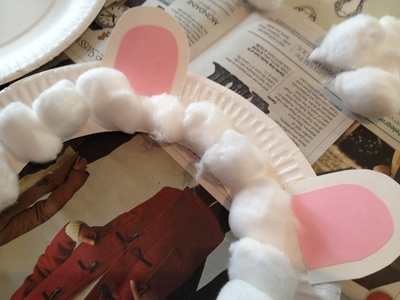 Glue some smaller pink paper ears to the centre and then glue onto the paper plate. 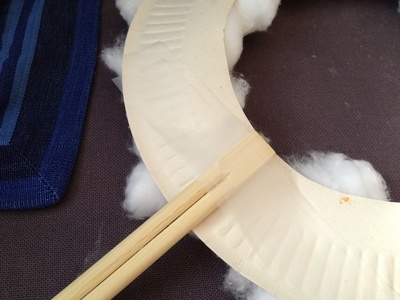 Fix a stick or we used some disposable wooden chopsticks to the back of the sheep mask. Hold it up to your face. Have a look in the mirror and say Baaaaa.